Tractor-trailers can weigh up to 80,000 pounds – or about 26 times more than the average passenger vehicle. It should come as no surprise, then, that passenger vehicle occupants account for the vast majority of fatalities in commercial truck accidents. In an effort to prevent 18-wheeler collisions, the Federal Motor Carrier Safety Administration implemented the Hours of Service Regulations, which restrict the number of consecutive hours a trucker can drive within specified timeframes. Despite these laws, at least 3,852 people died in large truck crashes in 2015. If you were seriously injured or lost a family member due to drowsy, drunk, or negligent truck driver in Kentucky, contact the Troutman Law Office. Attorney Matt Troutman will evaluate your case to determine if you have grounds for a claim. Mr. Troutman has been representing the injured for more than 30 years. Call to schedule a free initial consultation with an injury attorney in Louisville. 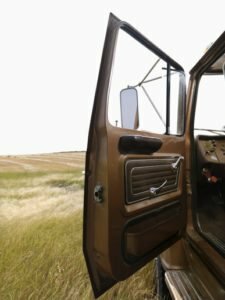 Who Can I Sue after a Commercial Truck Wreck? Testimony from an accident reconstruction expert. 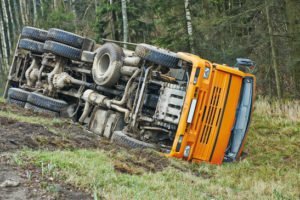 What Damages Might I Be Able to Recover after a Commercial Truck Accident? If you were injured by a negligent truck driver, attorney Matt Troutman can help you fight for the maximum settlement, and if your case goes to trial, he has the litigation experience to represent your interests in court. Mr. Troutman will help you avoid costly mistakes such as overlooking certain damages or making a recorded statement to the insurance adjuster. Call to schedule a free consultation with a truck accident lawyer in Louisville.